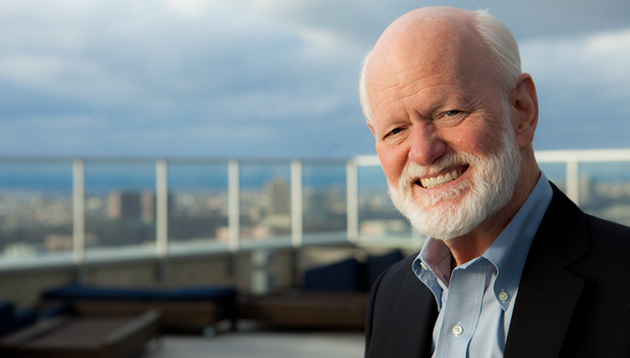 World-renowned business educator, coach, and author, Dr. Marshall Goldsmith shares tips on achieving positive long term behaviour change, starting a feed-forward system, and how work-life balance can be reached, in this conversation with Jerene Ang. 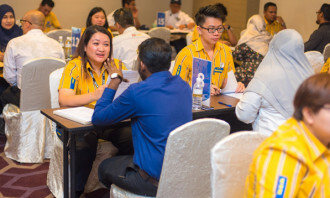 When Dr. Marshall Goldsmith was in Asia for the SIM Singapore Management Festival, he took the time to share a few words of wisdom with Human Resources in a quick Q&A session. Q An essential skill for HR professionals is to be able to manage change. In your opinion, what are the three things they have to keep in mind when managing change in the Asian context? My mission in life is helping successful leaders achieve positive long term change in behaviour, and my coaching process works all around the world with thousands of people having been certified in my coaching process. For me, key to lasting change is the client. They have to have the courage to look in the mirror and get feedback – which many people don’t. They have to have the humility to admit that they can improve. No one is going to get better if they don’t think there’s anything to get better at. They have to have the discipline to do the hard work that is required to make a change. Q We understand that the words ‘no’ and ‘but’ can kill any conversation. What happens in the Asian context is that they have more of a problem with the word ‘yes’ because employees are too willing to do exactly as they’re told. So what is one tip you can give to change the culture? The first thing is to change the language. When I help people change the ‘no’, ‘but’, and ‘however’, I charge them money and it’s amazing how quickly people change behaviour. In my book “What Got You Here Won’t Get You There”, I talk about using small amounts of money to create large changes in behaviours. I impose a $20 fine for every ‘no’, ‘but’, and ‘however’ said and the money goes into a charity they choose. These are mostly rich people, but they hate losing money; it’s amazing how it works, because they just hate losing – they hate losing anything. Any behaviour you want to change, you have to set up a feedback and reinforcement system. If you do that, you can pretty much change anything. 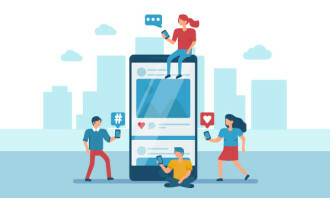 Q With more companies ditching the traditional performance appraisal, what are three tips you have for implementing a feed-forward system instead of a feedback system? What are key suggestions for improvement? When asking these questions, the leader can also ask the employee what suggestions they would have – sometimes you learn more by asking a question. In between those months, what you have is mutual responsibility – the employee has the responsibility to talk to the boss if they are ever lost or confused, and the boss has the responsibility to listen and answer any queries. If the boss does their job every two to three months, and if the employee does their job in between, there’s no reason you’re going to have problems with feedback or direction. I’ve done this for seven CEOs and it worked spectacularly every time. One CEO I coached was getting numerical feedback. In the first year I worked with him, he was in the eighth percentile and in 2015, he was at the 98th percentile. He he spent less time with people, but the time he spent was structured and clear. What you need is a very simple and clear structure, if you do follow the Six-Question process for coaching, you shouldn’t fail – I’ve never seen it fail. Q You have been traveling so often. Do you have any problems managing work life balance? And what tips do you have? When my children were younger (when my daughter was 11 and my son was nine), I started measuring how many hours a day I spent with my family because my daughter gave me feedback that I wasn’t spending a lot of time with her. In 1991, I spent four hours per day with the family – 92 days a year. In 1992, I spent 110 days. In 1993, I spent 131 days. In 1994, I spent 135 days. I travel all the time, but I spend more time with my kids than 95% of the fathers – when I was home, I spend time with them. A lot of this is an excuse, I think if you want to do it, you can do it; and if you measure it, you’re much more likely to do it.